Kinchin, I.; Doran, C.M. The Cost of Youth Suicide in Australia. Int. J. Environ. Res. Public Health 2018, 15, 672. Suicide is the leading cause of death among Australians between 15 and 24 years of age. The average cost per youth suicide is valued at $2,884,426, including $9721 in direct costs, $2,788,245 as the value of lost productivity, and $86,460 as the cost of bereavement. The total economic loss of youth suicide in Australia is estimated at $511 million a year (equivalent to US$352 million). 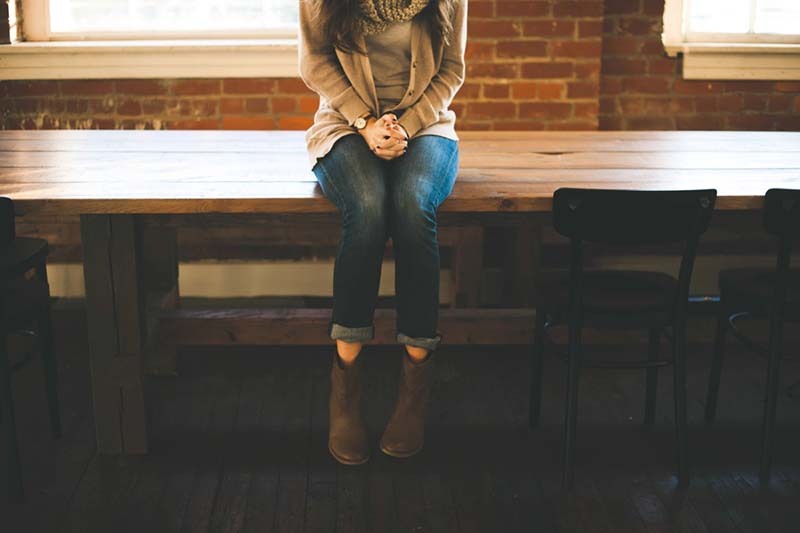 A systems-based approach to suicide prevention was recently proposed in Australia. Although the effectiveness of this approach is yet to be established, our findings suggest that the impact of meeting a 10% reduction in youth suicide could potentially save many lives and over $51 million each year. Data from the Australian National Coronial Information System suggest that between 2001 and 2014, 4460 persons in this age group died from suicide, averaging 319 fatalities pa. This is equivalent to a crude rate of youth suicide (15–24-year-olds) of 11.6 per 100,000, higher than countries with similar economic prosperity (as measured by gross domestic product per capita), including Canada (11.2 per 100,000), Hong Kong (10.3 per 100,000), the Netherlands (5.9 per 100,000), Sweden (8.9 per 100,000), and Singapore (6.7 per 100,000). This study estimates the economic cost of youth suicide. 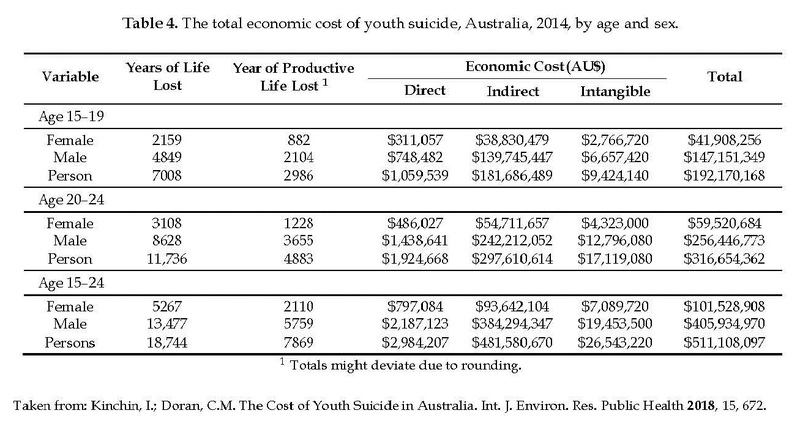 The main outcome measure is monetized burden of youth suicide (15–24-year-olds) in Australia. Costs, in 2014 AU$, are measured and valued as direct costs, such as coronial inquiry, police, ambulance, and funeral expenses; indirect costs, such as lost economic productivity; and intangible costs, such as bereavement. In 2014, 307 young Australians lost their lives to suicide (82 females and 225 males). The average age at time of death was 20.4 years, representing an average loss of 62 years of life and close to 46 years of productive capacity.